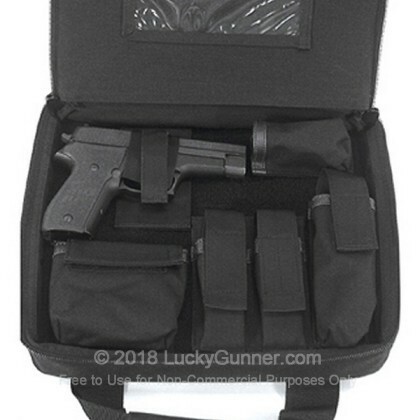 Blackhawk's SOCOM Pistol Case is the highest quality soft pistol case available. 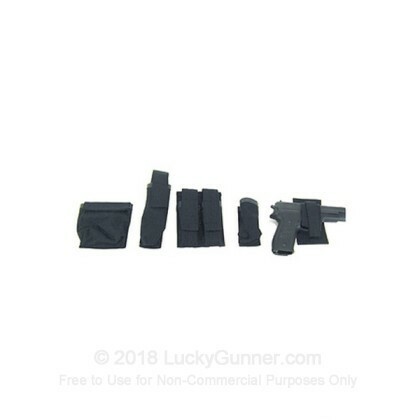 The case includes universal holster and barrel pouch, silencer pouch, adjustable double mag pouch, and a UTL light pouch. Each SOCOM pistol case is built using only the best materials. 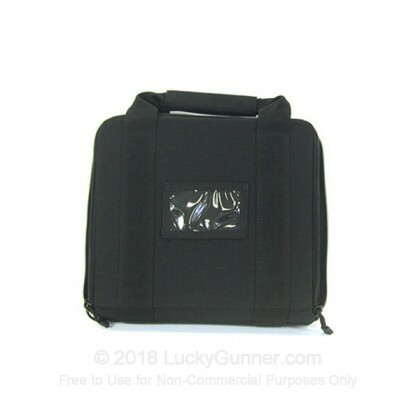 Shooter's that want a premium pistol case to carry their pistol and accessories in one convenient case the Blackhawk SOCOM is a great choice. TalonFlex plastic inserts on top and bottom for case stiffness. All Pouches are fully modular for custom configuration. Full wrap around heavy-duty handles. 375" closed cell foam for weapon potection. Heavy-duty #9 YKK zippers and dual slides.